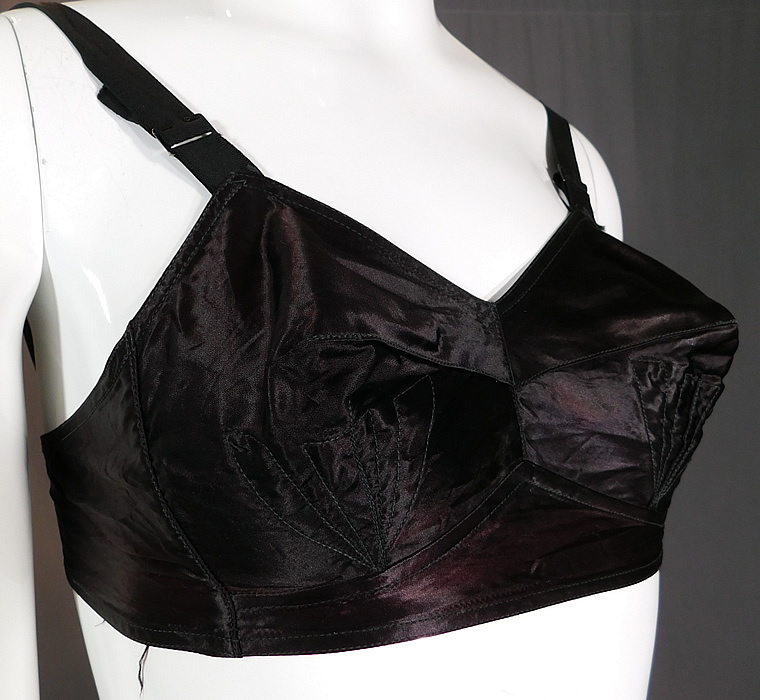 This vintage Quest-Shon Mark black satin stitched cup conical cone brassiere bullet bra dates from the late 1940s. It is made of a black silk satin fabric with decorative mermaid fin, sea shell stitching conical cone shape cups. This retro rockabilly "sweater girl" style brassiere bullet bra has adjustable shoulder straps, back strap hook closure and is unlined with no wires. 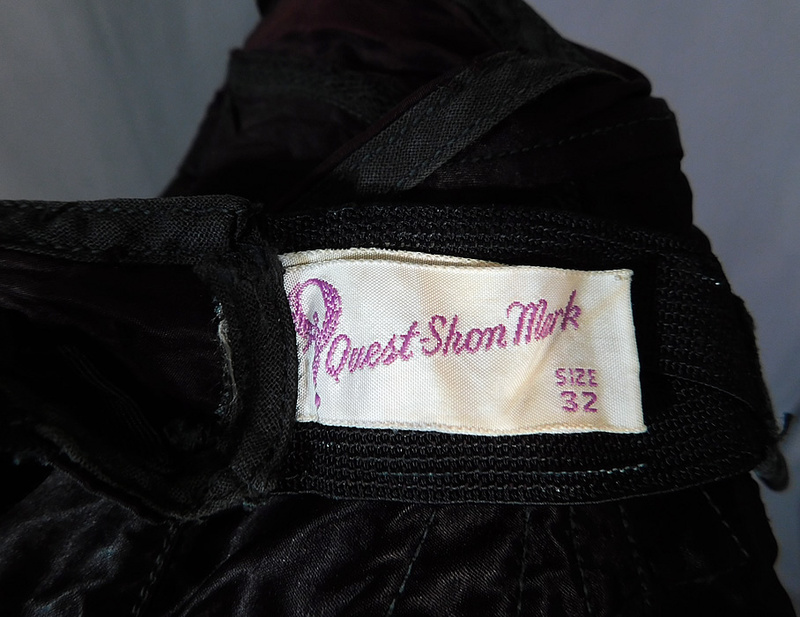 There is "Quest-Shon Mark" label, size 32 A tag sewn inside on the back strap. It is in good as-is condition, with some fade discoloration in areas and a few tiny frayed holes under the arms (see close-ups). 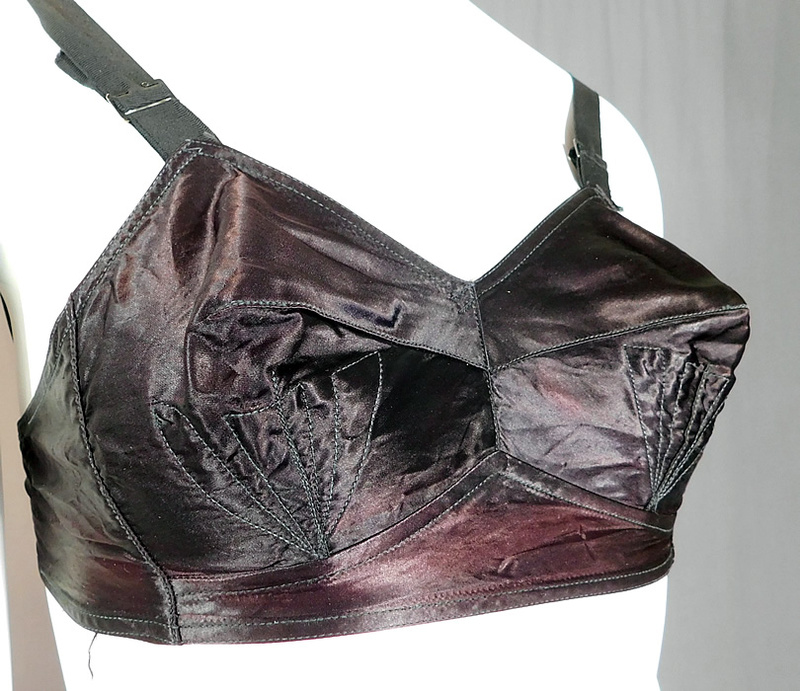 This is truly a rare and wonderful piece of retro lingerie wearable art!